Yesterday I volunteered for the Coquitlam Crunch Challenge. This event on September 10, 2016 is organized by the Coquitlam Foundation to raising money for the Community Diversity Fund. 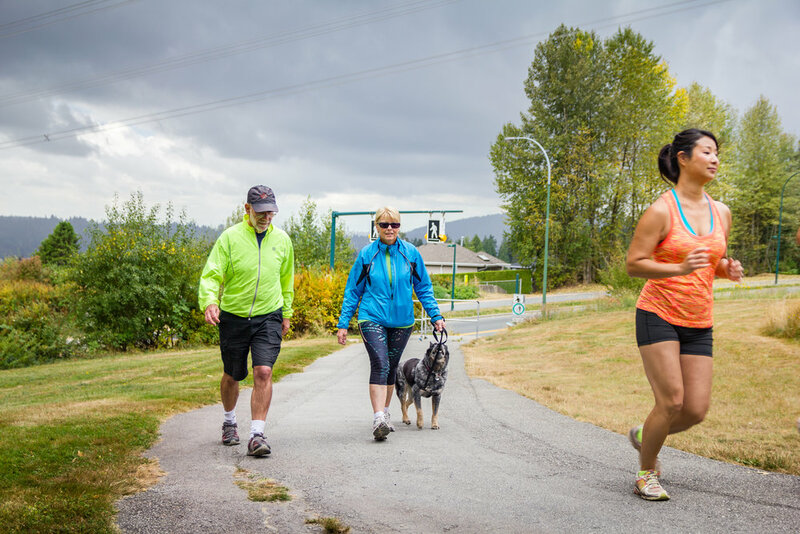 The City of Coquitlam was shooting a promotional video and I was asked to shoot some behind the scenes photos for the Foundation's promotional purposes. It was a blast! I've never really shot a gig with 'models' before, so it was very new for me and I learned a lot. 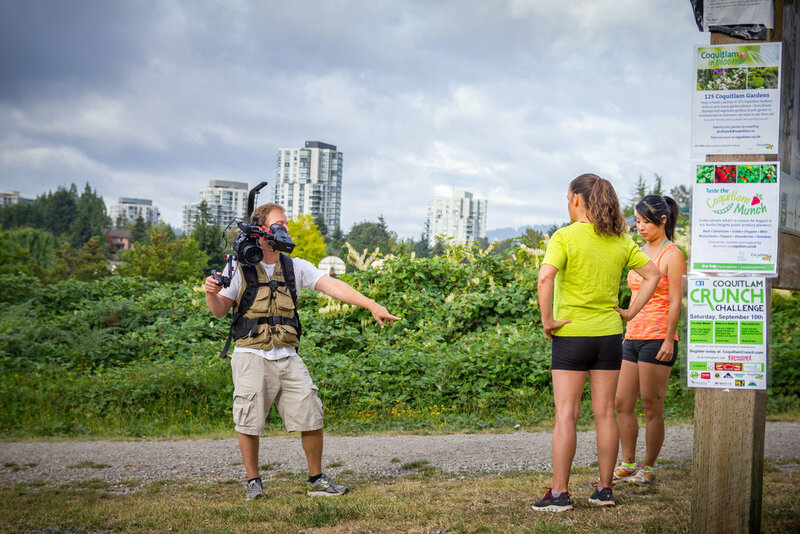 I was fortunate that the videographer directed the the shoot and all I had to do is stand in the right place and document him shooting and at the same time I got some great shots in of the subjects running and hiking the trail. The weather was quite good for photography purposes, it was fairly bright with nice clouds in the sky and no harsh sunlight. This created flattering light, excellent to work with. I love how I was able to capture the movement of the hikers and runners with the stunning backdrop of the Coquitlam Crunch Trail. The trail and power lines were perfect objects to use as leading lines - guiding your eyes towards the subjects. In addition I used foreground elements, other runners/hikers, long grass or the videographer to create interest and frame the pictures. In the end I was able to get a good mix of behind the scenes shot of the videographer and other photographer hired by the City as well as some great shots of the runners and hikers alone. In addition to having a great experience and taking some great shots, I met some awesome people as well!